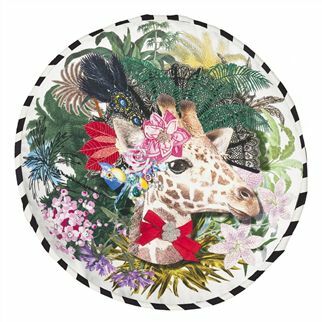 A new statement round cushion, designed exclusively by the Christian Lacroix studio in Paris. An elegant giraffe is adorned with tropical foliage with embroidered highlights. 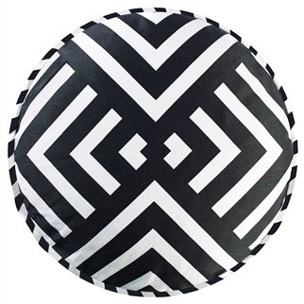 This luxurious cushion is digitally printed onto sleek cotton with a monochrome prismatic chevron reverse.